As of now, you’ve probably heard of the word “TikTok”. You are probably wondering why TikTok has all of a sudden become one of the most important social media apps in 2019. TikTok was produced by a Chinese company called Bytedance in 2016, which ended up merging with musical.ly in the summer of 2018. TikTok is a video-centric social media app which allows users to create 15 seconds in which they lip-sync and dance along with music or audio snippets. 66% of the users are under 30 years old which means that the app’s main users are Generation Z and Millennials. To understand TikTok and its prowess, we compiled the 6 most important TikTok statistics which every marketer ought to know. Why is TikTok important and why should marketers care? What should marketers be aware of when it comes to launching influencer marketing campaigns on TikTok? 1. According to Business of Apps, TikTok became the most downloaded free app on Apple’s App Store in the U.S. In October of 2018, the app also ranked first on Google Play (Business of Apps, 2019). 2. In late 2018, TikTok surpassed Facebook, Instagram, Snapchat and Youtube in downloads (Tech Crunch, 2018). 3. TikTok users spend on average 52 minutes per day on the app (Mediakix, 2019). This number is much higher than other social media apps such as Snapchat and Instagram. In fact, Instagram users spend on average 32 minutes per day on the app (Hootesuite, 2018). 4. As of June 2018, there are 500 million active monthly users globally on TikTok (Business of Apps, 2019). 5. Gym Shark, a UK-based fitness wear company promoted the “66 Day | Change Your Life” challenge. 6 prominent influencers danced and exercised in their videos while wearing matching Gym Shark athletic wear with their friends. The social reach of the campaign exceeded 19.8 million (MediaKix, 2019). 6. 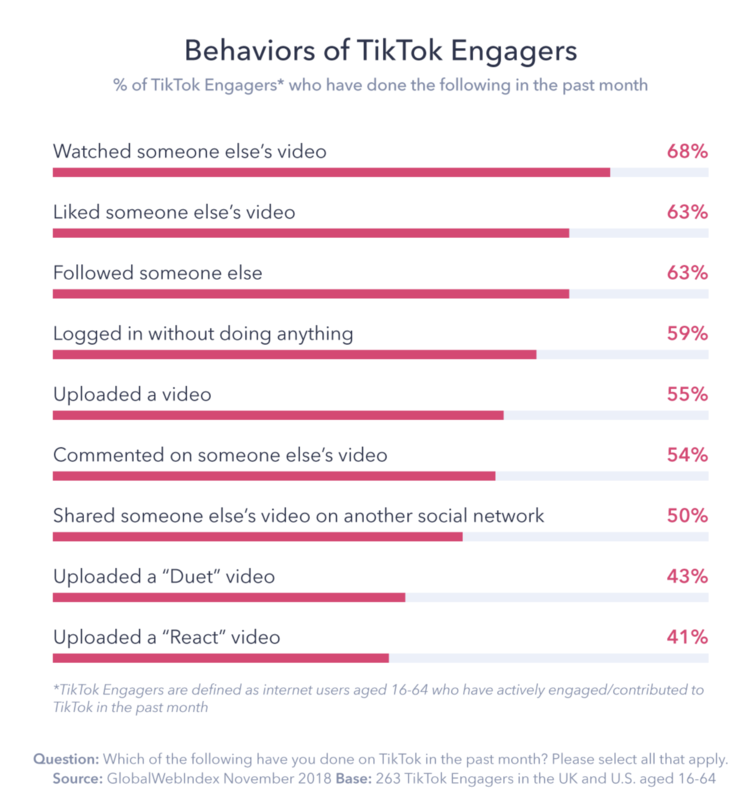 In a study conducted by Influencer Marketing Hub, 54% of TikTok users have commented or engaged on somebody else’s video in the last month. Furthermore, 63% liked a video in the last month. With the statistics presented above, TikTok has become social media’s latest craze. 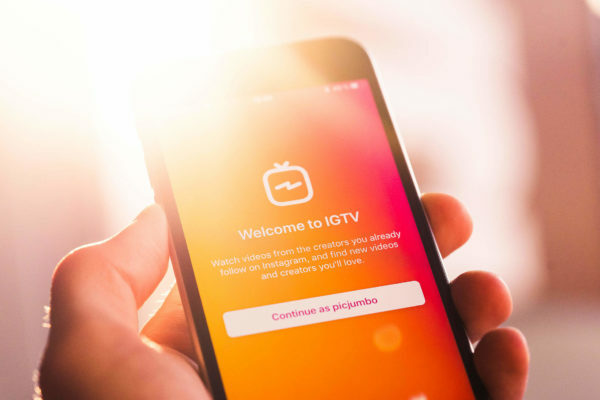 Not only does it shape how Generation Z and Millennials consume social media content by producing highly addictive videos, but it also provides a platform for them to actively engage in “challenges” created either by TikTok, the influencers, or a brand. Needless to say, many brands are wanting to jump on the bandwagon of this new social media phenomenon, which leads us to the question: How should brands approach TikTok and its influencers? While TikTok still hasn’t fully established their advertisement offerings as much as other platforms such as Instagram, Youtube and Facebook, it has already developed means of monetization through influencer marketing. With brands such as GUESS and Gymshark launching TikTok based campaigns, TikTok will eventually form partnerships with major brands to launch more influencer marketing campaigns. That being said, brands should start experimenting with the app by downloading it and testing out all the features. One important aspect of the app is that most of its users are Gen Z and Millennials. Before a brand decides to start an influencer marketing campaign on TikTok, they should identify whether or not TikTok has the right target audience for them. Once the target audience has been correctly identified, then it is crucial to try to understand the mindset of the younger generation. Instead of simply putting out a “challenge” just because everyone else is doing so, brands should ask themselves what makes the younger generation engage on such a platform. 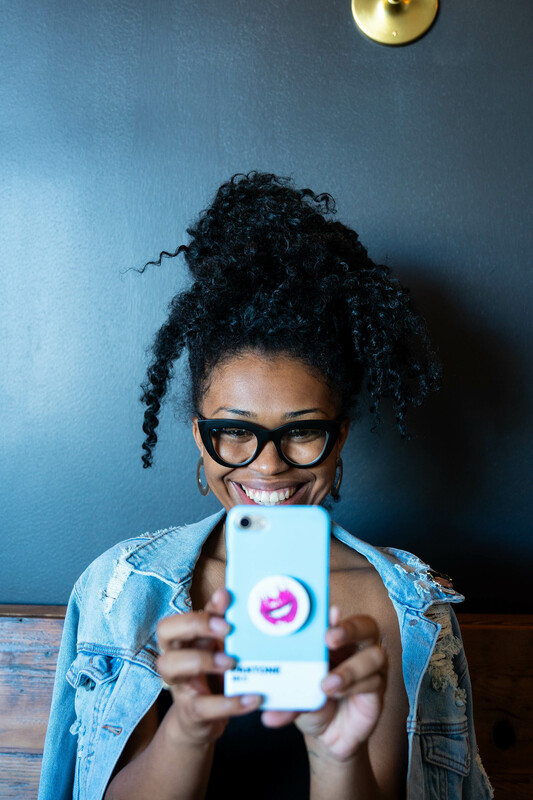 As they rapidly scroll through the TikTok feed, it is important to be aware of what content resonates with them (read more on our blog to find out how to market to Gen Z). Once the above questions are addressed, then the subsequent step would be to drive brand engagement through launching viral challenges on the platform which can be easily understood across different cultures. Marketers should keep in mind that as TikTok evolves and progresses, competition for influencers and the cost to hire them will also increase. Being able to develop and innovate viral content that captures an audience’s attention within 15 seconds will be much more challenging. Therefore, before launching a TikTok influencer marketing campaign, brands should have a solid and well-thought-out campaign strategy for TikTok without losing track of their main business objectives. Contact us now for a TikTok influencer marketing campaign consultation.